The first time we ever tasted banana cream pie was actually only a few months ago in one of our favourite cities in the world: New York. 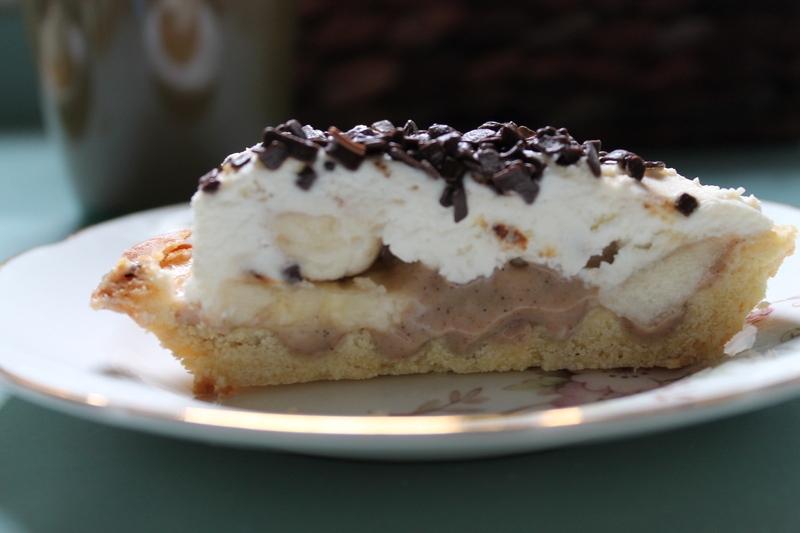 We instantly fell in love with the sweet banana custard, flaky pie crust and whipped cream combination! When we got back, we were determined to recreate it – with a sugarchaihoneybunch twist of course. The twist is a cinnamon-spiced custard, a sweet shortcrust base and a coffee-flavoured mascarpone topping. Yum! Beat the butter in a bowl until soft and mix in the sugar until fluffy. Beat in the egg yolk and then the flour until just mixed. Push the mixture into a ball and then a flattened disc on a floured surface (countertop/wooden board). Wrap the dough in clingfilm and chill in the fridge until firm (usually about 30 mins). In the meantime, grease two tartlet tins with a diameter of about 10cm/4inches. Line the bottoms of the tins with circles of baking/greaseproof paper. When firm, divide the dough into two and roll out each half into a circle on a floured surface, big enough to cover the base and sides of each tartlet tin. Press each circle of dough into each tartlet tin, covering the base and the sides of the tin. Prick the dough lightly with a fork and place pie weights/baking beans/dried beans on top of each tartlet. Bake the tartlets in the oven for about 20 minutes or until browned. Cool in tin. In the meantime, prepare the custard. Spoon the custard into the tartlets. Place the banana slices on top of the custard. 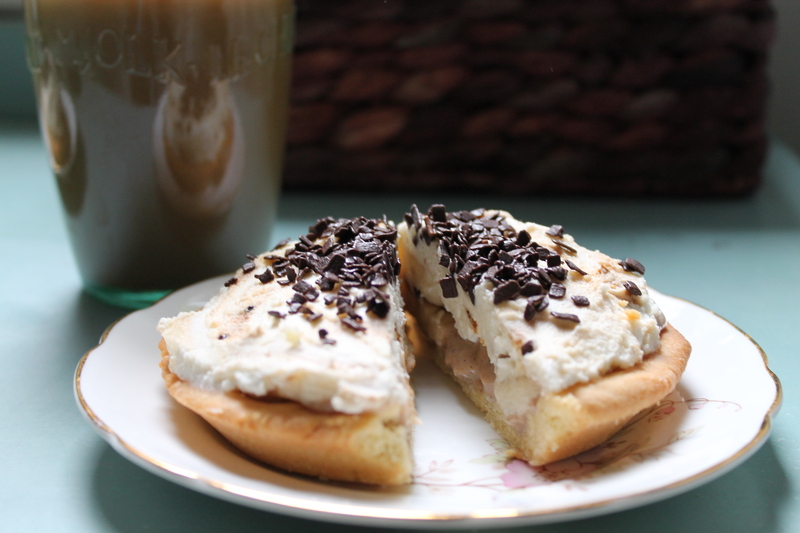 Whip the mascarpone (or mascarpone and double cream) with the coffee until fluffy and spreadable, and spread on top of banana slices. Decorate with chocolate shavings/sprinkles and enjoy!